We’re always down for a good crossover episode. And the CW does not disappoint when it comes to crossover-ing its superhero shows. Remember last year’s four night crossover episode extravaganza? It’s crazy enough when two shows crossover, but Supergirl, Arrow, The Flash AND Legends of Tomorrow? Madness! 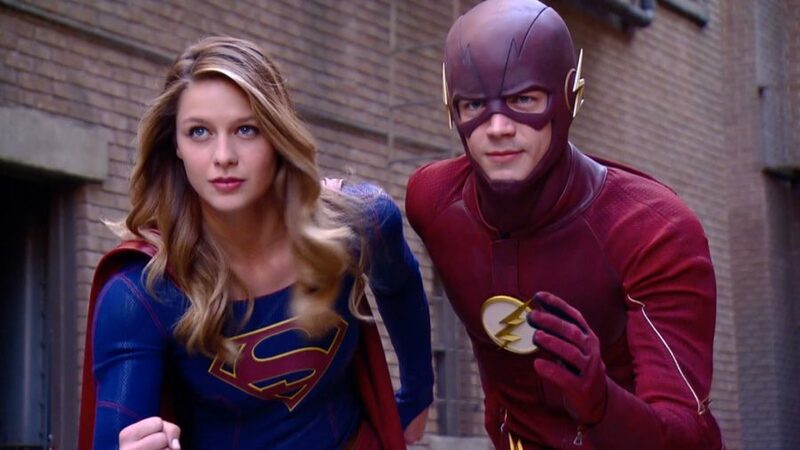 This time around, only two CW superhero shows are doing the crossover tango (that would be Supergirl and The Flash). But this crossover promises to give its four-night predecessor a run for its crazy money because it will be, get this, a MUSICAL crossover. Let’s just stop here and point out that it TOTALLY makes sense for Supergirl and The Flash to burst into song. After all, the shows’ stars (Melissa Benoist and Grant Gustin, respectively) were major characters on freaking Glee! The kids can sing! And now we’ll get to hear them sing on their current shows! Everybody wins! As Entertainment Weekly reports, there’s going to be a light Flash crossover on the Monday March 2oth episode of Supergirl, but most of the musical crossover madness will be happening on the Tuesday, March 21st episode of The Flash. Benoit and Gustin won’t be the only ones singing. Supergirl‘s Jeremy Jordan, who is an old pro at musical TV, having starred on the 2nd season of Smash, and will definitely be bursting into song. Also for sure singing in the crossover, The Flash‘s Jesse L. Martin and Carlos Valdes, DC Legends of Tomorrow’s Victor Garber, and Arrow/Legends‘ John Barrowman. And why is everyone bursting into song? Just like the iconic musical episode of Buffy the Vampire Slayer, there’s a musical bad guy in town. Musical Meister, a DC villain who uses his singing voice to control minds, will be played by none other than musical genius Neil Patrick Harris. Um, this sounds amazing. We are so flipping excited! March can NOT come soon enough! !